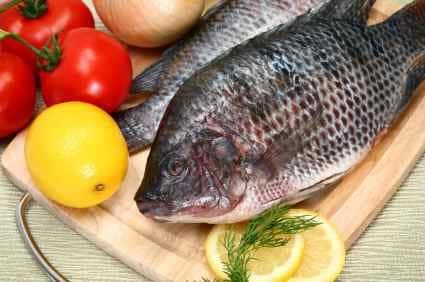 Home » Copycat Restaurant Recipes » Paris Village Tilapia Filet – Located in Las Vegas the Paris makes a special Tilapia Filet. Paris Village Tilapia Filet – Located in Las Vegas the Paris makes a special Tilapia Filet. Perhaps you have been to the Paris Village and enjoyed their wonderful Buffet. Here is their recipe for the Tilapia Filet. Paris Village in Las Vegas the Paris Hotel, makes a special Tilapia Filet. Sautee the apples with butter until caramelized and put them aside. Season the fish on both sides and sauté them in the oil. In a saucepan, reduce the Calvados wine, the white wine, and the shallots to half and then add the heavy cream. Reduce the sauce to a creamy consistency. Add seasoning. Drain the sauce. To serve: Pour the sauce onto the dish. Add the fish and top with the apple mixture. I usually order Tilapia when I go out I have only cooked it at home once. This recipe looks really good. I’ll have to try it!